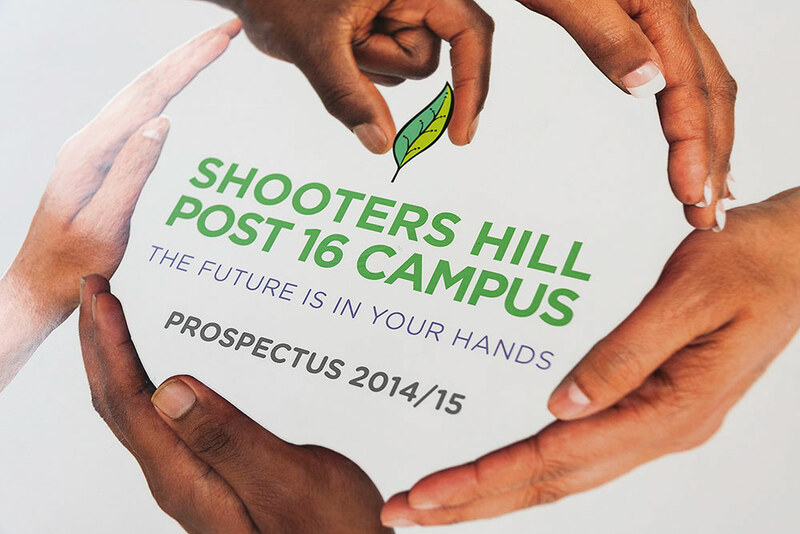 Shooters Hill Post 16 Campus Prospectus. 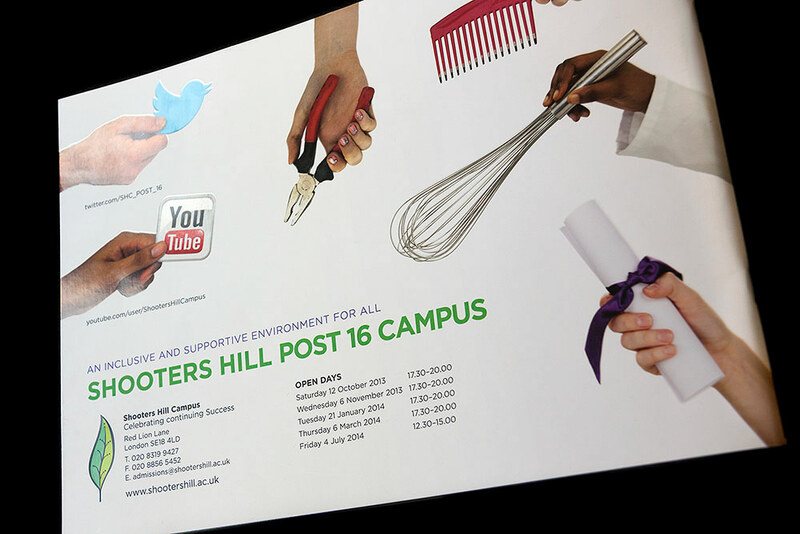 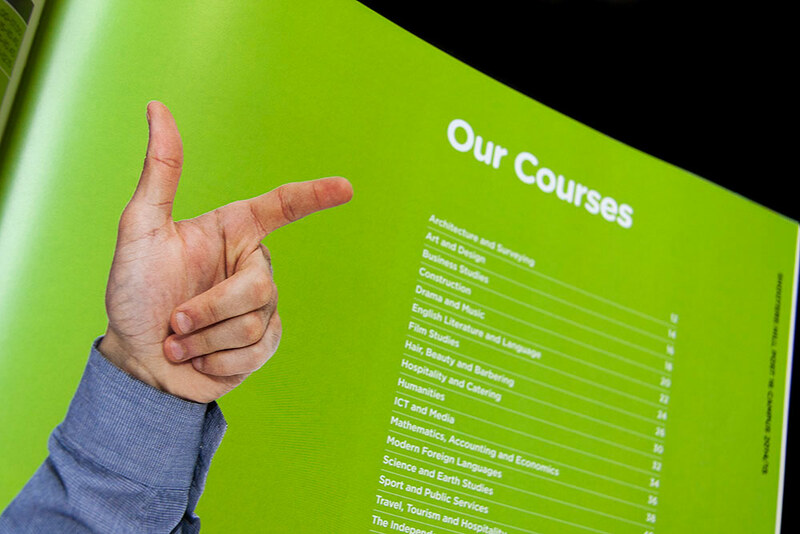 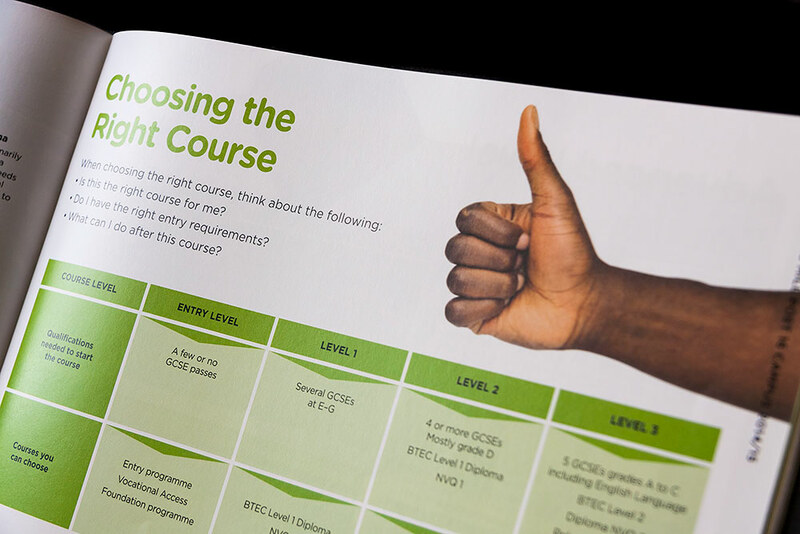 Part of the project involved running a competition for students to design the prospectus. 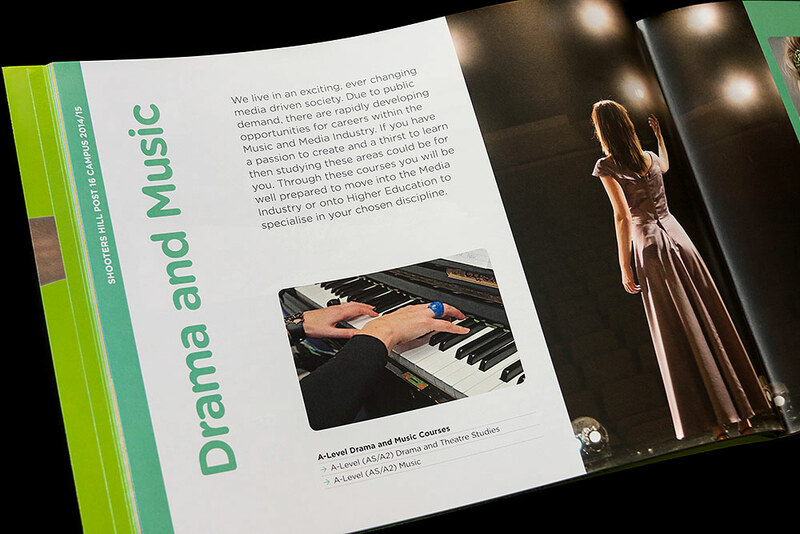 The winner spent a week with us developing the designs.